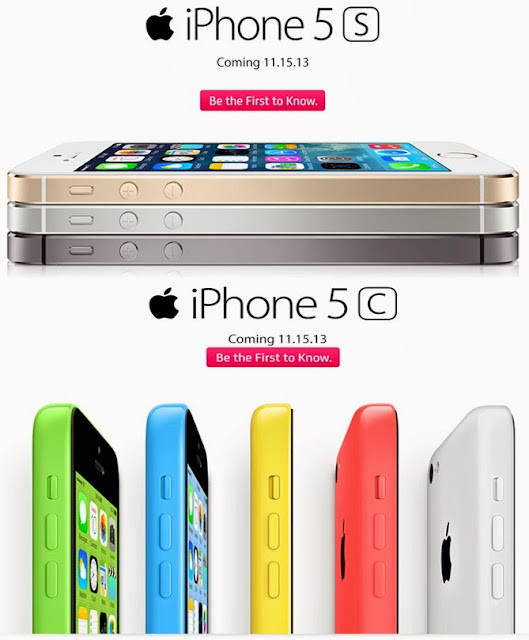 Smart Communications, Inc. (Smart), Philippine leading network is releasing on Friday, November 15, its first batch of iPhone 5s, the most forward-thinking smartphone in the world, and iPhone 5c, the most colorful iPhone yet. Company officials announced today that the iPhone 5s and iPhone 5c will be will be released simultaneously in all Smart Stores across the country, on the first day of its availability. Approved applicants who registered online during the sign-up period may also get their units at their chosen pick-up points – whether at the Eastwood Mall Open Park in Quezon City or at the Jump Experience Center in SM City Cebu and SM Lanang Premier, Davao. The highly-anticipated iPhones will further boost Smart’s portfolio of smartphones capable of ultrafast LTE wireless Internet. Aside from its most number of iPhone distribution channels yet on Day 1 of its launch, Smart is also offering the widest range of postpaid plans and offers that can be paired with the iPhone 5s or the iPhone 5c. The iPhone 5s (16GB, 32GB, 64GB) and iPhone 5c (16GB, 32GB) are available on Smart Postpaid’s Freedom Plan, All-In Plans 500, 800, 1200, 1800 and 2500; iPhone Plans 999 and 2499; UnliData Plans 1500, 2000 and 3000; and Smart Infinity Plans 3500, 5000 and 8000. For instance, subscribers can get the iPhone 5c (16 GB) for only P1,499 a month with the iPhone Plan 999 (P999 monthly service fee plus P500 device amortization via credit card). iPhone Plan 999 already comes with 40 free all-net call minutes, 100 free all-net SMS and unlimited LTE connection. Smart also unveiled iPhone packages that it will be offering for the first time. Subscribers who will be availing of the iPhone 5s or iPhone 5c on Freedom Plan (Smart postpaid plan offering with no lock-out period and fixed monthly fees), will get free 250mb of data worth P300 every month for the entire first year of subscription. Premium offers also await Smart Infinity members. The iPhone 5s (16GB) for example is offered at Plan 5000 with bonus 2 VIP tickets to the Philippine staging of the hit musical Wicked or PhP14,000 worth of Rustan’s gift certificates. Plan 8000 subscribers meanwhile get both the iPhone 5s (32GB) and iPhone 5C (16GB). Smart subscribers who wish to upgrade to the new iPhone offers but are currently within an active contract may choose to wipe out their existing contract for a discounted fee, without the need to surrender their existing device. Up to 75% can be deducted from the applicable fee. Qualified subscribers who will avail of the Wipe Out program will also receive free one-year device insurance with Smart Gadget Shield which covers loss, theft and accidental damage. They are also entitled to discounts on iPhone accessories from partner establishments. To check if your current Smart Postpaid account is qualified for Wipeout, text WIPEOUT to 2928. For more details on the Wipe Out Program, go to www.smart.com.ph/wipeout. Select Smart stores also offer device trade-in deals where subscribers can swap their old phones with iPhone vouchers. This offer is available at the Smart Store in Rockwell, Robinsons Magnolia, SM North EDSA, Festival Mall and Jump Megamall. For complete information on Smart’s complete suite of iPhone offers, please visit smart.com.ph/iPhone for Smart Postpaid and smart.com.ph/infinity for Smart Infinity.